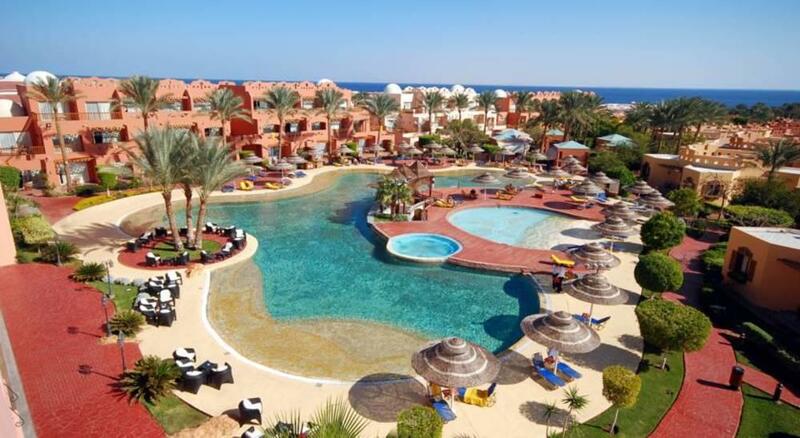 The Nubian Island Hotel is a family friendly hotel situated on the beach and has good access to the surrounding area and world famous coral and aquatic wildlife. The hotel offers such a vast array of amenities including 3 restaurants, 4 bars including 2 poolside bars, all serving snacks, a range of shops, 2 swimming pools with children's sections, sunbeds and umbrellas, poolside jacuzzi. The Health Club offers sauna/steam baths (charges apply), gym, beauty salon with a range of treatments (charges apply), snorkelling, water sports, children's club for 4 to 12 year olds, playground and entertainment such as live music and shows. Other services include 24 hour reception, safety deposit box at reception, internet access (charges apply) and currency exchange facilities. Guest rooms have twin beds, bathroom with shower, hair dryer, mini bar, satellite TV, telephone, safe, air conditioning and balcony or terrace. Breakfast, Restaurant, Daily: 07.00 - 10:00. Snacks, Restaurant (Napoletano- served from 15:30 until sunset), Daily. Dinner, Reservations Required, Restaurant (Napoletano- Pizzeria and daily changed set menus, charges may apply), Daily: 18:30 - 22:00. Ice Cream, Daily: 09:30 - 00:00. Afternoon Tea, Lobby Bar, Daily: 16:00 - 17:00. Late Snacks, Lobby Bar, Daily: 22:30 - 00:00. Locally produced Alcohol; Locally produced non Alcohol, Pool Bar (open 9:30 until sunset), Daily. Locally produced Alcohol; Locally produced non Alcohol, Lobby Bar (Bar is open 24 hours but outside of the stated hours is payable. ), Daily: 09:30 - 00:00. 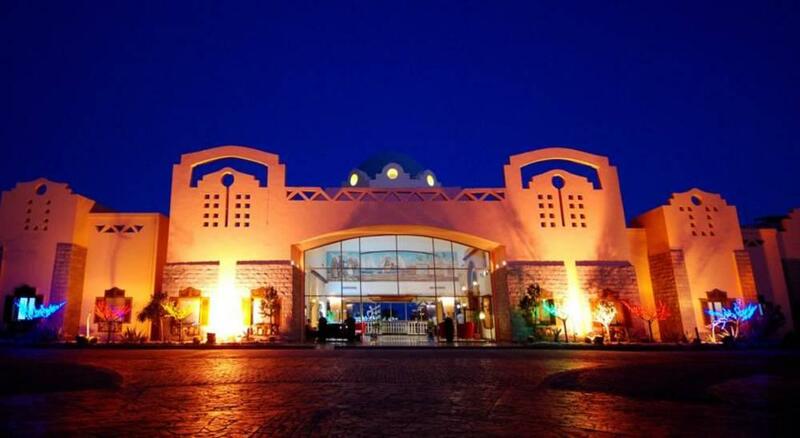 This beach front hotel is situated on the outskirts of the resort, approx 17km from Naama Bay which is easily reached by a courtesy bus three times a day. 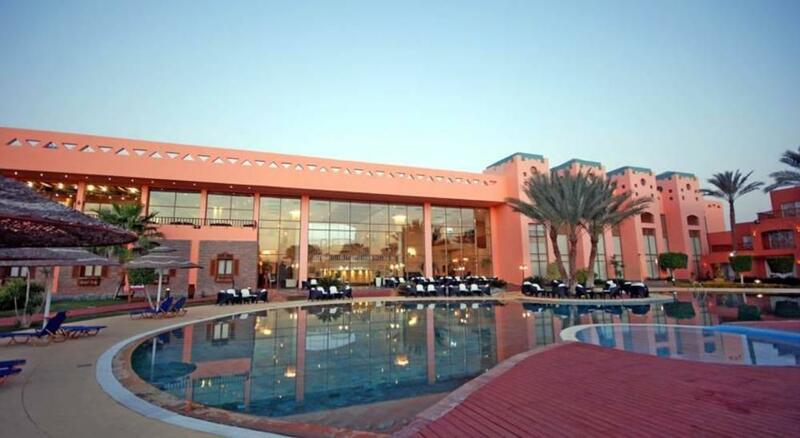 This luxurious hotel is next door to the sister hotel The Nubian Village and guests are entitled to make use of it's facilities including the Aquapark. 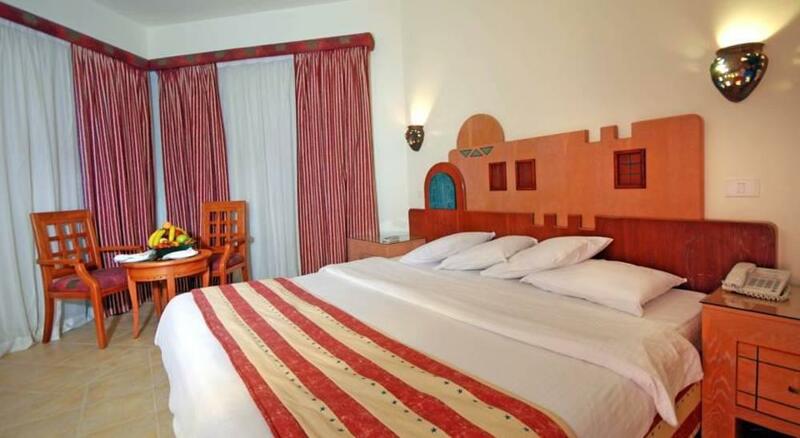 This is a stylish hotel with colourful spacious bungalow accommodation. 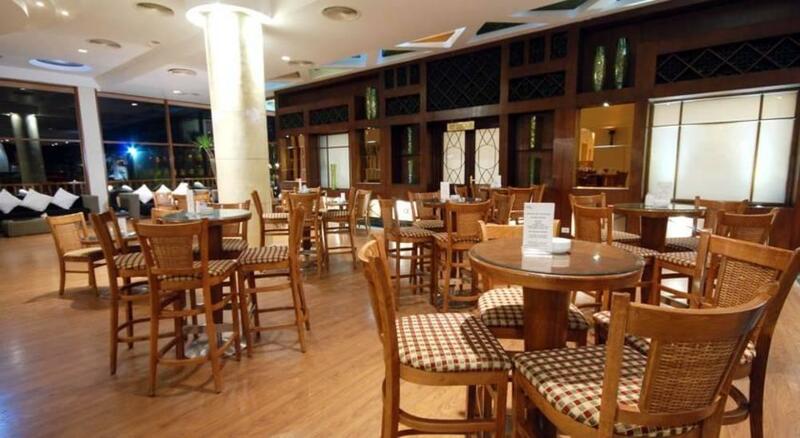 The food is of good quality in the buffet restaurant, the Italian restaurant is also a nice change. 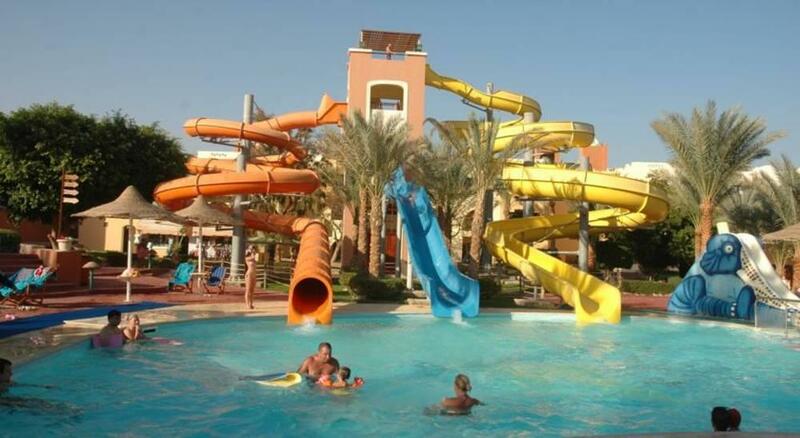 There are 2 pools, the lower pool is busier as it includes entertainment throughout the day from the entertainment team, which are in the main friendly and work hard to include guests from a variety of nations. The beach is nice and just by walking into the sea you can see various fishes. The coral is just off the beach and snorkelling is great off the jetty. 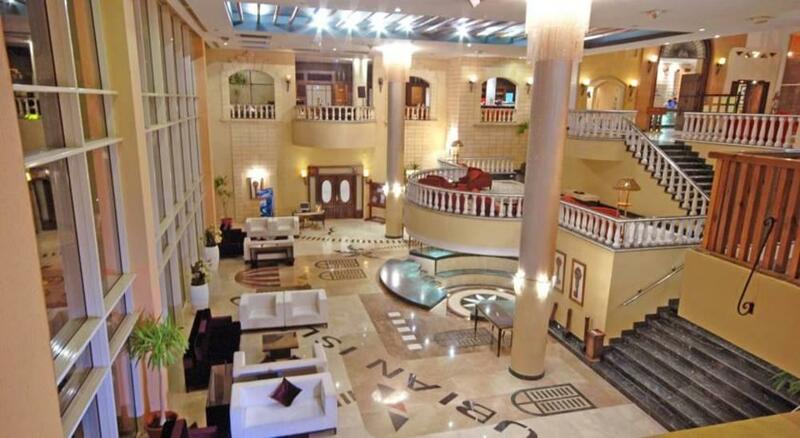 Overall a good all inclusive hotel for the money. Fantastic hotel, great staff, lovely food. The hotel was really nice with good food and big bedrooms. The only thing we thought let it down was the entertainment team. There was a singer which most nights was good. As to day activities and other evening entertainment not so good. Hotel is in an awesome location, only a stones throw away from the shops and has all the facilities you need on site. It has its own "proper" dive centre on site and shallow and deep water snorkeling available down at the beach, all you need is your own snorkeling gear and away you go. I've been to 3 different hotels and locations and this is the best by far. Highly recommend it to all age groups and for all types of needs, the staff are friendly and helpful. I'll be back there next year for definite. Had a bungalow, situated near the beach and perfectly situated for the Italian restaurant, fishfood restuarant, Spa and pool (which we did not use). It was kept clean, bed linen and towels changed every day. We had new outside furniture a couple of days after arrival (as did most). We had a large fridge with ice making facilities. We were not aware originally that we had in fact booked Ultra All Inclusive, we only found out a couple of days before departure. We had more problems with this than anything. Firstly on arrival no welcome drink or cold flannel (that everyone had been saying), the reception staff were adamant that we were not Ultra even though all our paper work said we were. They tried to make us wear the AI bands until they could contact the holiday company, we refused this, so they gave us our white bands and wanted us to sign saying that we would have to pay £50 for the evening as Ultra until they could sort it out. We were shown to our bungalow by the fastest porter in the world until he realised that he had left us behind (no way was I going to rush behind him). Shortly after I received a call in the bungalow demanding I went back up to reception. As I was exhausted, hot and bothered my friend said she would go whilst I waited downstairs. He again wanted us to say we would pay for the night as extra. She signed a piece of paper saying we would pay for nothing, we also asked for extra pillows. We went to dinner and then back to bungalow. At 10.30pm a porter bought us the pillows, at 11.30pm 2 porters bought us a bowl of fruit, which should have been in the room on arrival and filled up the mini bar (which should also have been full for our use as Ultra AI. I phone reception to ask what was going on as it was getting ridiculous, we had been woken twice; all he said was its been sorted out and you are Ultra AI. Next morning we had to go back to reception following breakfast to sort out what was going on. We met with the British customer services person Jo, who said she couldn't understand what was going on as they all knew we would be Ultra AI and all their paper work and computer print outs said this. We decided to put this all to bed and get on with having a lovely holiday. There were blips most days about the Ultra, ie mini bar not filled, spa saying no we were not entitled to use it free. We felt that the main problem was the management on the Ultra AI and this needed to be sorted out from the top. No one seemed to understand the concept of it, and the fact that we had in fact paid a lot for the privilege of having this. We have rated the hotel 4 stars, as apart from the hassle over the Ultra we did have a good holiday, the beach was gorgeous, the towel guys looked after us helping move the beds to follow the shade and sun!. The sea was beautiful and snorkelling off the jetty was out of this world. 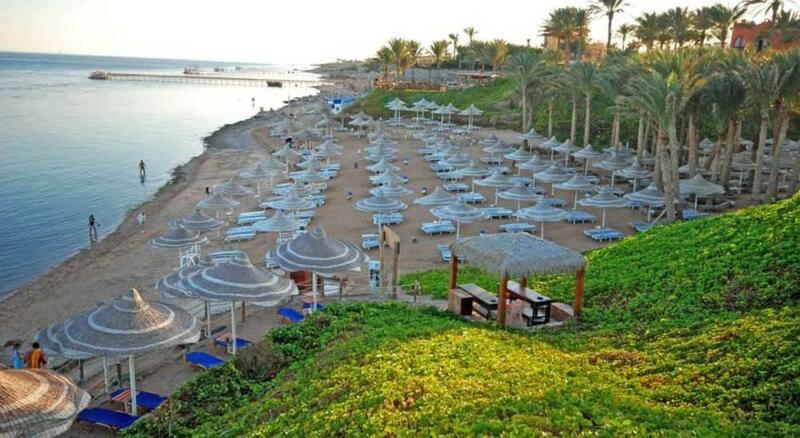 There were 30 steps and a slope to the beach, I personally found this tiring at times especially when it was very hot. There was quite a walk up to the Il Monde restaurant and reception so consequently we did not use this very often as the Italian was great. Would we go back, I don't know, the beach and swimming made up for some of the hassle but we would have to look at it. We did go into Soho Square one afternoon, lovely to look around shops in a relatively hassle free environment. We had a glass of wine each waiting for our return, taxi £9 each so won't be going back there any time soon. I have just returned from a two week stay at the Nubian island with my wife and two daughters (19 and 13 yo) and would thoroughly recommend it. The service we received from the moment we arrived was first class right from check in at reception where we were processed quickly and efficiently and given a cold refreshing drink while we waited and received our AI bands and were allocated a porter who took our cases and guided us to our rooms. The rooms were spacious, clean and well equipped and we were happy with them and thankfully the air con was also working well. The rooms and bungalows are set in beautiful gardens which are immaculately maintained with lots of flowers, plants and palm trees. There are two large pools, the quiet pool (which we spent most of our time at) this is directly in front of the hotel lobby and the noisy pool, which is on the way to the beach, there is also a whole area of the beach which is specifically for Nubian island residents. Both pools and the beach all have their own bar, towel guys and a large supply of loungers available and the bonus is you do not have to bring towels with you, you just present your towel card (provided by the hotel) to the towel guys and they give you fresh towels to use on your loungers. The hotel, we were told was operating at full capacity while we were there, and we could see there was always loungers available. There are 3 restaurants available, the main restaurant in the main hotel building for breakfast, lunch and dinner, the Barracuda (beside the noisy pool) which is part of standard all inclusive for lunch but you have to book and pay for dinner and the Italian (just above the Barracuda) which you can book once per week as part of your AI. The main restaurant can be very busy at times, but we never had to wait to be seated and waiters were usually over fairly quickly to take your drink order, there was always a wide range of food available comprised of salads, soups, pasta, various meats and fish etc. with something or other usually being carved and and amazing array of deserts. I did hear some people complain about the food, but personally, I always found something really nice to eat at any meal. Breakfast is not a fry up, but again a fair bit to choose from inc. fresh fruit and various yogurts, cereals, lots of nice varieties of breads (with toasting facilities available) eggs, boiled, poached, fried and best of all omelettes, freshly made to order, there were also cold meats and cheeses, freshly made pancakes and some other oddities! We preferred to have our lunch at the Barracuda where the pace was more laid back and the food every bit as good (if not better) and a pleasant place to pass an hour's respite from the blazing sun. We also had our two visits to the Italian which again we really enjoyed. The animation were also great, although we didn't really bother much taking part in games and activities that were available, that did not matter, they would still ask you to join in, but if you said no, they did not torture you to do so and they were always asking if everything was Ok, no problems etc. Be aware that it does get very hot, we looked at the thermometer one morning before 8:00am and it was 36 degrees already, but we did seem to get used to it. When you are at the pool/beach you will get lots of people coming around trying to sell you excursions and it can get a bit irritating at times, but on the whole they are usually pleasant enough and quite reasonably priced, and if you really don't want them bothering you, you can get a do not disturb sign from the towel guy. If you go outside the hotel be prepared to be tortured by every vendor you come anywhere near, but if you deal with them firmly and politely, there are some good bargains to be had, especially the likes of fake designer bags etc. which can be of very good quality. I can truthfully say that all the staff provided excellent customer service, the manager himself met with guests at a drinks and nibbles reception at least once per week and inquired if anyone had any issues or problems and everyone from the cleaners who keep the place spotless and make up the rooms so nicely, the waiters, reception staff, bar men etc. all pleasant to deal with and ever obliging. There were too many great staff to mention everyone, however there were those who really added something to our overall holiday experience; George the pool bar manager (quiet pool) who was great fun and kept our drinks and snacks almost permanently topped up and was almost too efficient (that's my excuse anyway) and his sometimes sidekick Salah. Also Alaa the towel guy for the quiet pool who looked after us from the day we arrived, ensuring we always had nicely position sunbeds and umbrellas from the moment we arrived at the pool. And Jo from the animation team who as always checking to see if we were Ok and although we personally had no problems, she helped to expedite and provide solutions for anyone who did have. With regard to tipping staff, it is sort of expected in this part of the world but in no way demanded and definitely very much appreciated. We found the best way was bringing pound coins with us to tip on a day to day basis as the staff prefer pounds sterling to their own currency, once you get to know some of the staff, they may approach you to ask you to change pound coins for sterling notes (and so the pounds go round) or if you become friendly with staff (which you will) you may wish to offer this service, it's nice easy way to provide a nominal tip to your housekeeper, waiter, bar man etc. and if you find the service provided by certain staff to be outstanding, you may as we did, wish to give them a larger tip at the end of your holiday, and I must say, they thoroughly deserved it. All in all it was a great holiday and both my wife and I and our kids also made some great new friends (if you're reading this, Karl, Lisa and Kieran Toni, Ros, Jack and Sam) to mention a few. You may have seen reviews where Russians feature quite a bit, and there are quite a few, and yes, many of them are rude but I can safely say that with the exception of being a bit irritated by how many of them treated staff, they did not adversely impact on my holiday in any way! In fact I met a few from various parts of the old USSR (Belarus, Ukraine etc.) who really made an effort, despite the language barrier.